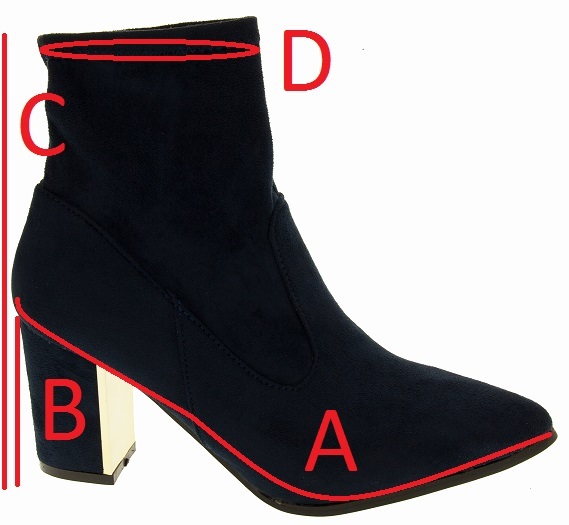 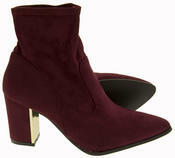 High Quality Stretch Ankle Boots by Poshh! 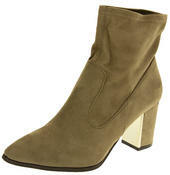 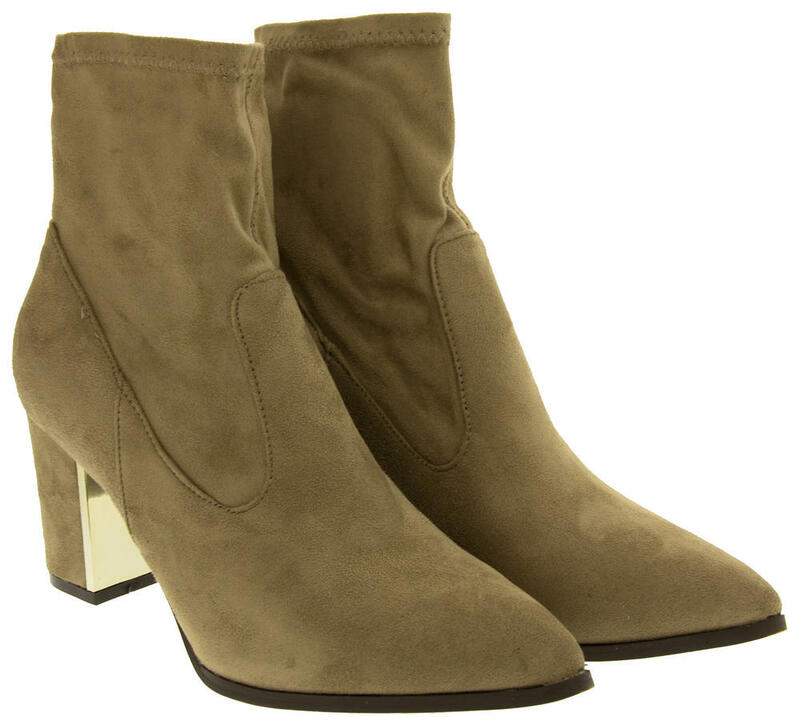 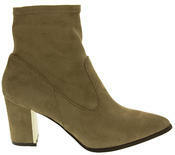 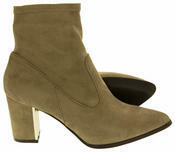 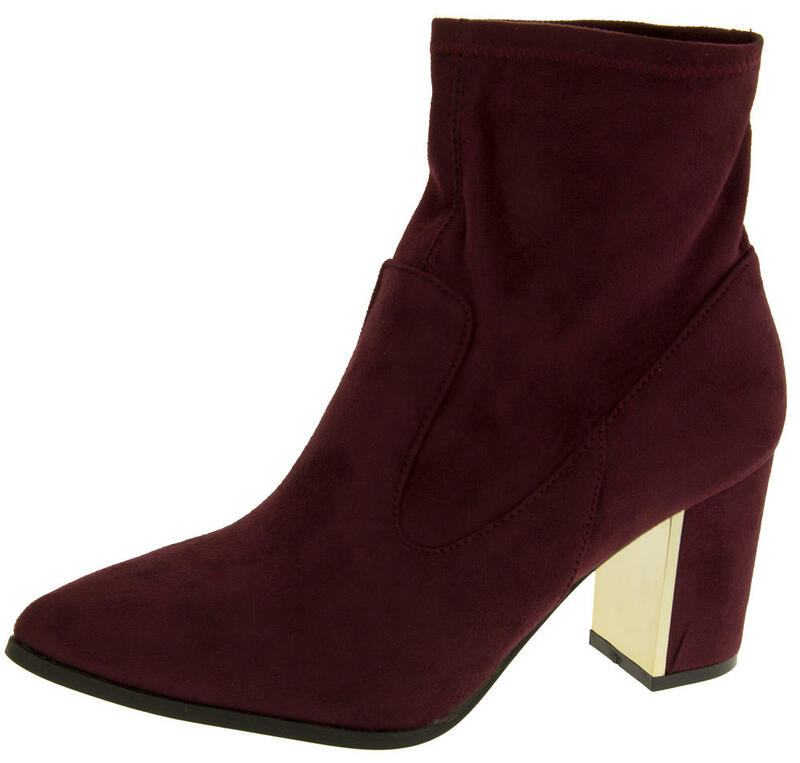 These womens stretch ankle boots by Poshh! 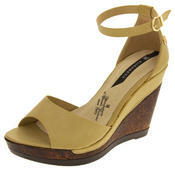 are absolutely stunning They have a comfortable 3 inch block heel with a gold coloured panel at the front. The stretchy ankle ensures a comfortable fit. 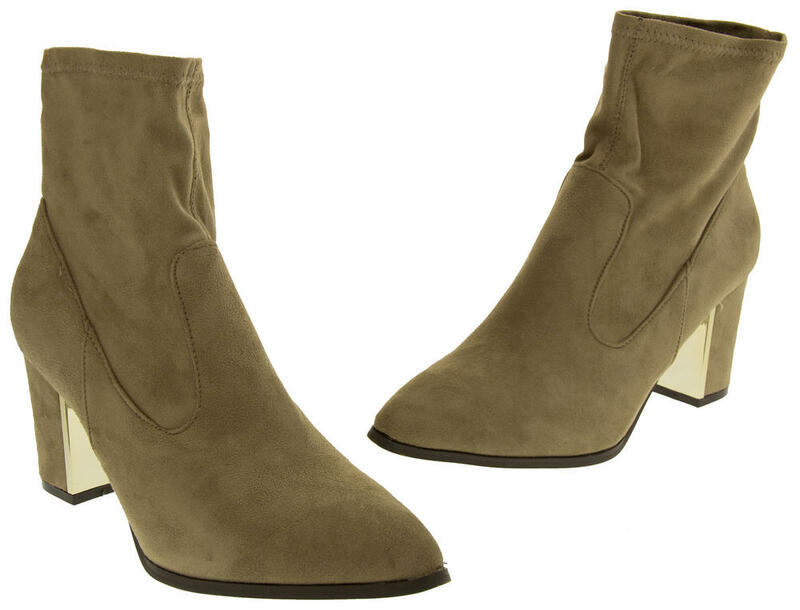 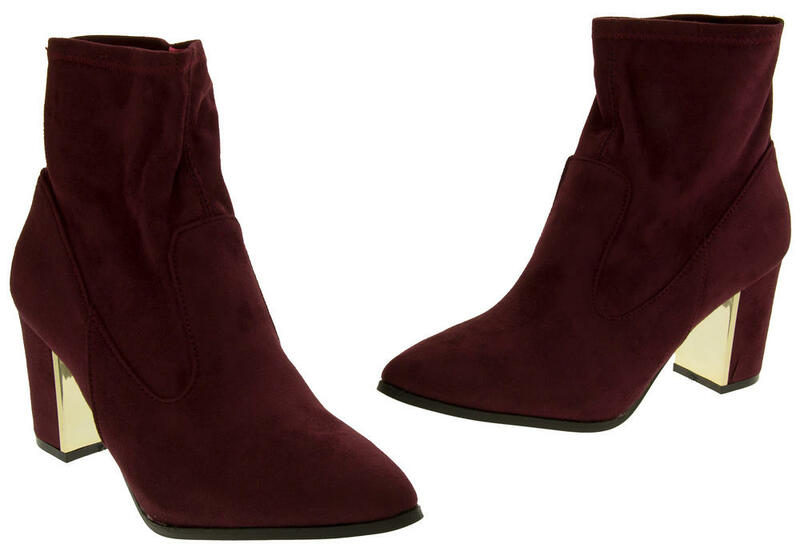 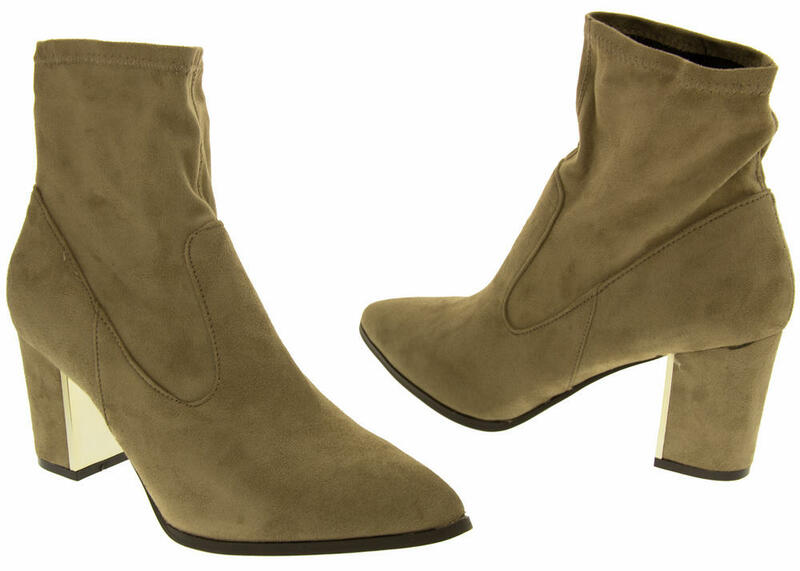 These gorgeous boots are just perfect to wear for work, office, or for casual wear. 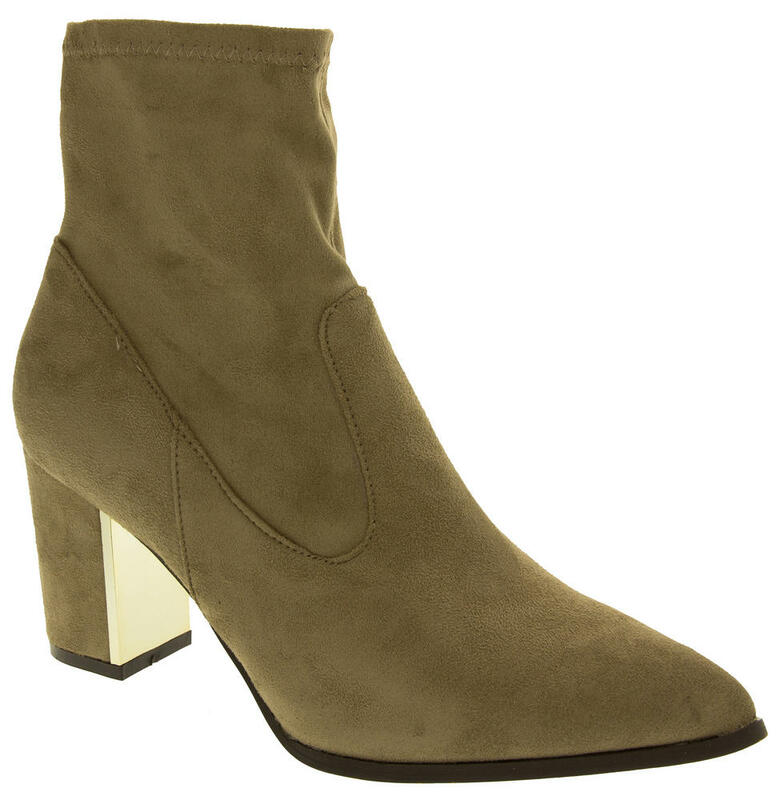 Available in 3 finishes - Faux Leather, Faux Suede and Lycra Textile.